Looking for an easy and effective way to get healthy? Well, you’ll be glad to know that an exercise you’ve been doing since probably your childhood is one of the best solutions. If you’ve been thinking of getting a membership at a gym but haven’t made up your mind yet, the benefits of cycling should help you get ready when you finally decide to join a gym. Even an average bodybuilder includes cardiovascular exercises such as cycling into his regime at least once a week. 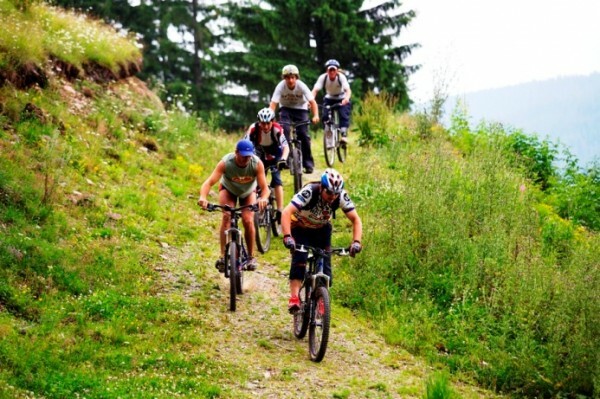 Apart from helping you maintain your weight goals, there are other numerous health benefits of cycling. 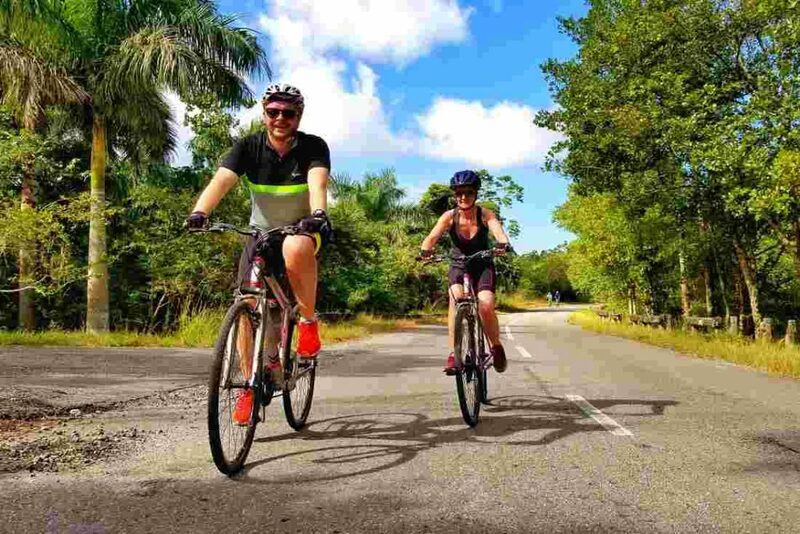 Below are the top 7 health benefits of cycling that not only benefit our physical health but also our mental health thereby leading to an overall healthier lifestyle. For a beginner considering gym to help with weight loss should also consider the prospect of cycling for the following reasons. It is perfectly safe to ride a bike because the chances of serious injuries that weight lifting presents are reduced to almost none. Outdoor exposure is always good for the mind to tune out the stress of the day and enjoy the scenic beauty of outside world. It provides an opportunity to socialize with other people in your circle or neighbour by inviting them to join you for a ride. If heavyweights and the idea of lifting them scares you away from gym then cycling is the next best alternative. 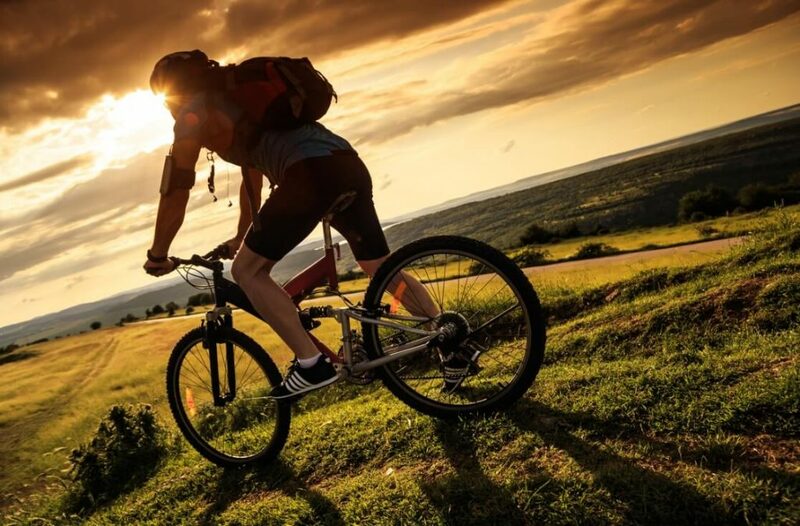 While weight lifting undoubtedly has its own perks, cycling still proves to be just as beneficial. 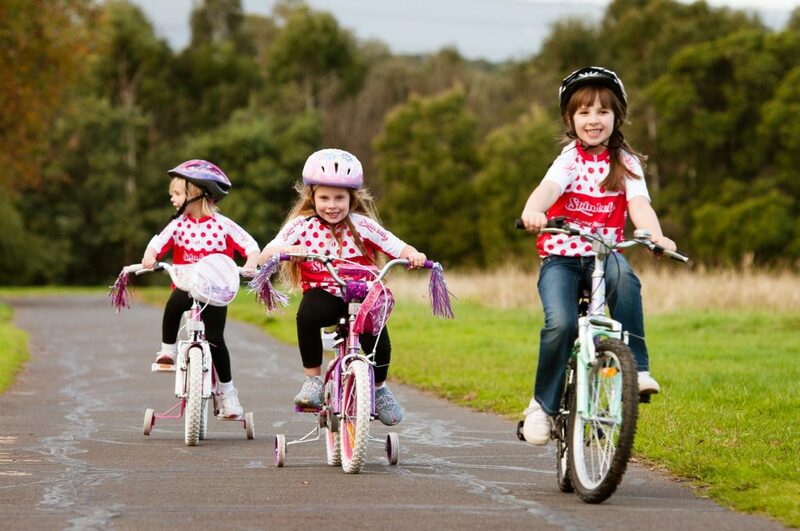 Cycling gives you the flexibility to set the pace and intensity at which you feel comfortable. You can always choose new routes to explore and the amount of time you want to devote to it. It is one of the safest, easiest and fun way to get in shape. Not only are you burning fat but also having fun at the same time. For just twenty minutes a day you can burn up to 400 calories each day. 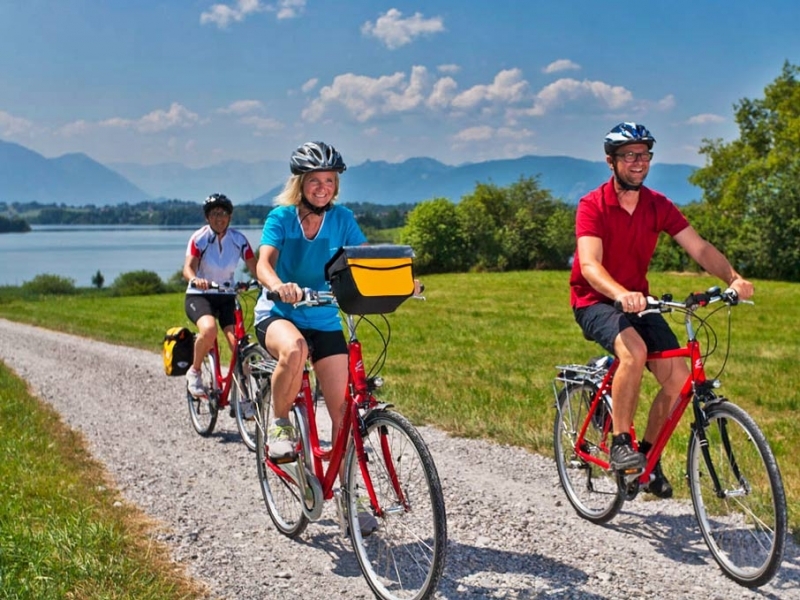 It is also very important to mention one of the major health benefits of cycling, regular sessions has proven to improve the cardiovascular system’s functionality exponentially. Even a bare minimum of three sessions a week can aid in improving the cardiovascular activity. Helps maintaining a lower heart rate which is required to ensure the longevity of the heart’s function. Confirmed studies show that an average adult’s heart beats at around 60 to 100 beats every minute whereas an average athletes’ rate is about 40 beats per minute. Another vital organ that benefits from cycling are the lungs, the increased heart rate due to cycling puts the lungs into overdrive which is good for the body. Lungs bring oxygen into the body so that energy can be produced and carbon dioxide being built inside is released. This ultimately trains the lung to improve the capacity and bring even more amount of oxygen to generate more energy and release the carbon dioxide waste. A series of extensive studies and research show that cycling has proven to reduce the chances of cancer, especially breast cancer. An average cyclist has less exposure to the pollution when compared to a driver. 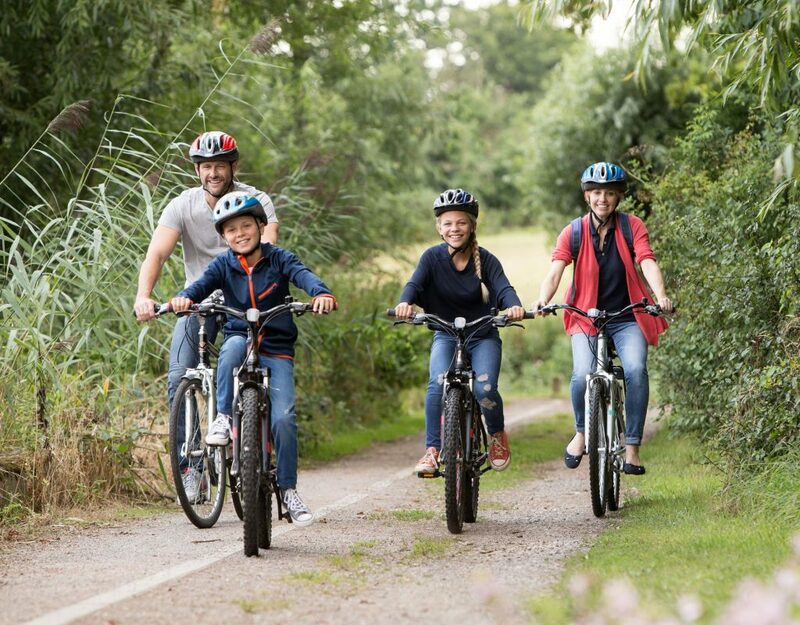 It may come as a surprise to you that physical activity such as cycling also helps in maintaining those “grey cells” adding to the list of health benefits cycling provides. Improves and maintains the brain activity. A healthy mind can only garner positive and constructive thoughts. Positive thoughts, needless to say, keep stress, depression and anxiety away. The gluteal muscles are popularly called “glutes” these are the muscles that comprise the hip and cycling helps strengthen these. Quadriceps or otherwise knowns as Quads is a muscle group that starts from the hip and runs all the way down to the thighs. These muscles are responsible for helping the body during walking, running or squatting and hence training them is very important. One of the benefits of cycling includes the exercise of hamstrings that are these three muscles that run through the rear thighs, they aid the functioning of the knees so training them along with calves ensure proper leg movements. This group of muscles popularly known as “abs” are also trained as a result of cycling and these muscles are responsible for proper functioning of the body as a whole by participating in various major movements. Also, read about: Surya Namaskar Benefits.